I'll be taking a break from blogging this week, but I have some super talented friends who have graciously accepted to take over my blog for the week. 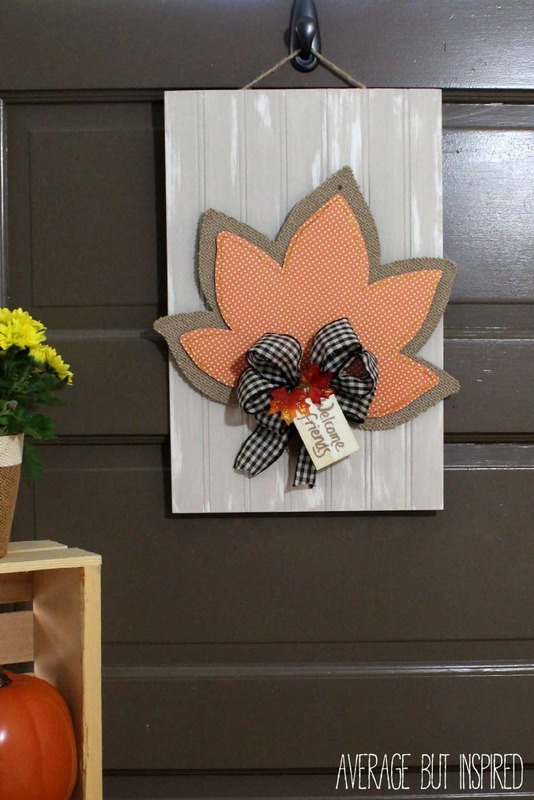 They all share a love for DIY and creating thrifty projects for their home. You may even notice some of these sweet girls from our monthly DIY challenges. I hope you'll take a minute to check out their blogs and don't forget to say hi! Hello, Little House of Four friends and readers! I'm Bre and I blog at Average But Inspired, where I share creative (and budget-friendly! 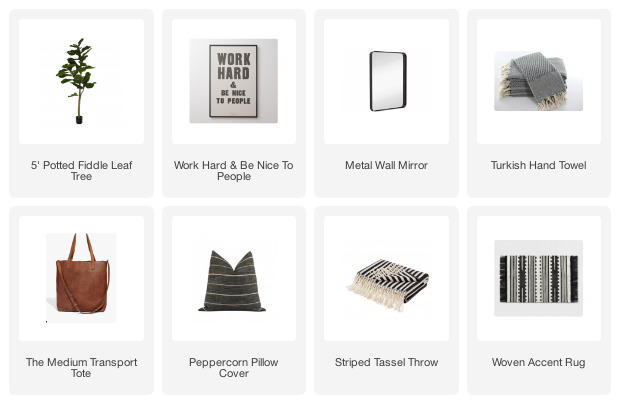 ), crafts and ideas for the home. 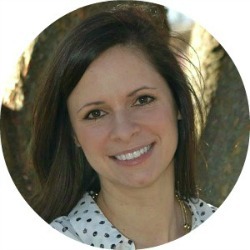 I am so excited to be guest posting for Katie while she's away this week. 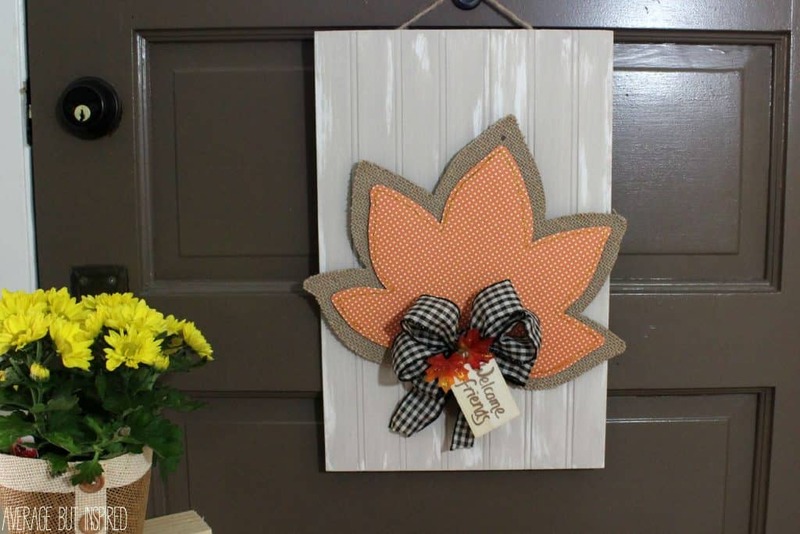 Since she and I share a love for upgrading dollar store finds, I knew that this Easy Dollar Store Fall Decor Upcycle project would be the PERFECT one to share with you! With a few simple supplies and about fifteen minutes, you can make one, too! So this is what I started with. This little leaf wasn't awful, but the art on the front wasn't exactly my style. I was kind of digging the burlap and raffia bow, though, so I figured I could make the $1 investment. I started the transformation process by removing the raffia bow and taking the top layer of the leaf off. It was hot glued onto the burlap part, so it came off with no problem! Then I traced the shape of the leaf onto a piece of scrapbook paper. 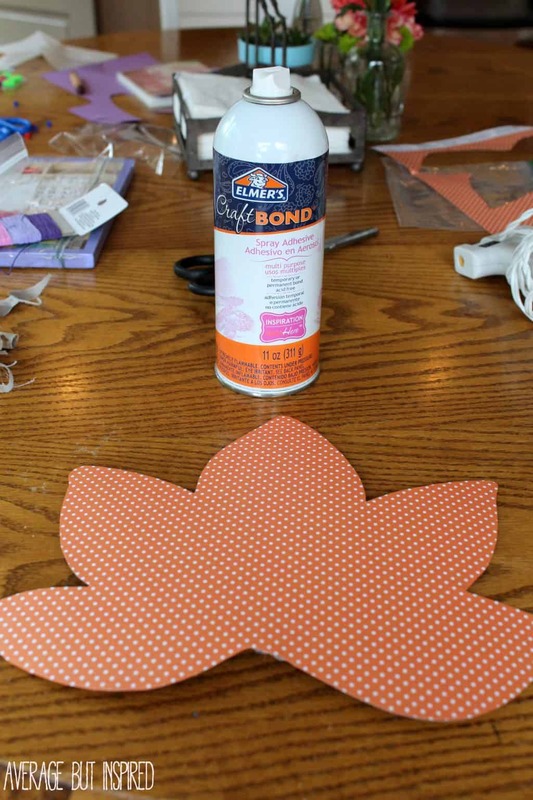 Next, I used spray adhesive to glue the scrapbook paper to the leaf. (Please ignore the mess in the background. That's my kids' fault. (It's always their fault.)) Cute, happy dots. So much better already! I fired up the old hot glue gun and adhered the leaves to one another. 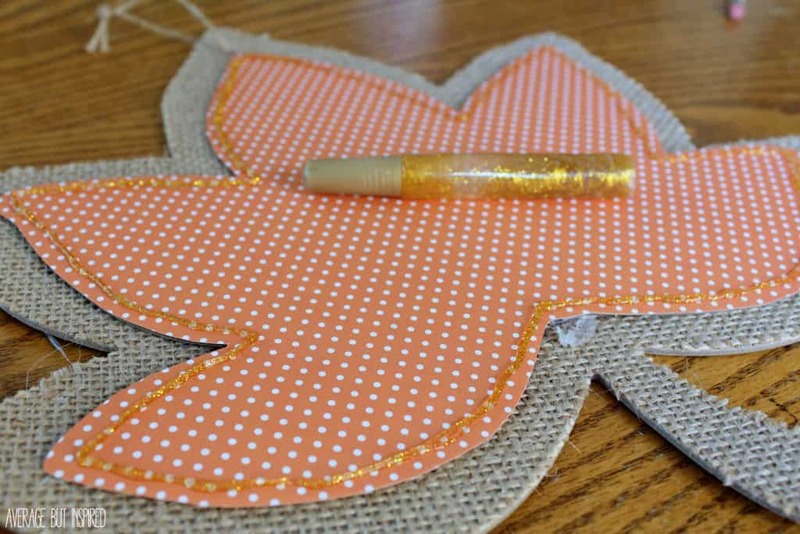 And then I ganked one of my kids' glitter glue sticks and outlined my little leaf with some fun gold flecks. I attached the bow to the leaf with hot glue, and that was that! 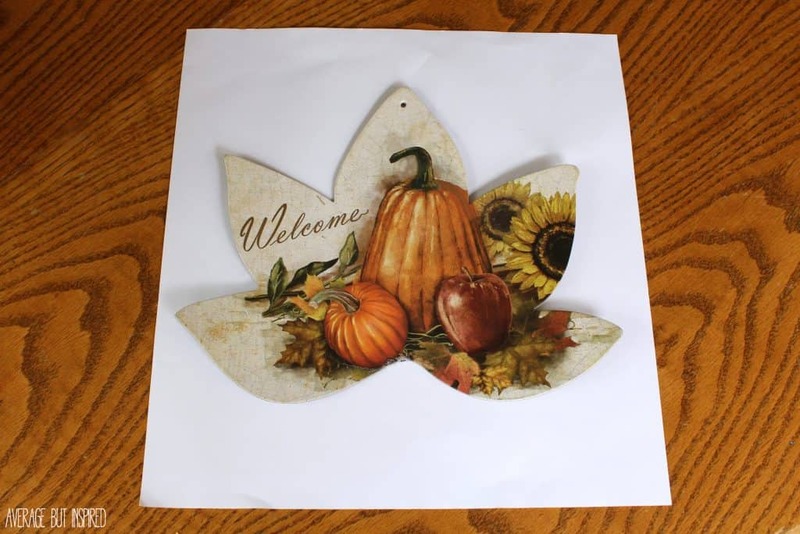 For a little something extra, I attached a piece of velcro to it and mounted it onto a backboard that I used for my Interchangeable Early Fall Wreath. 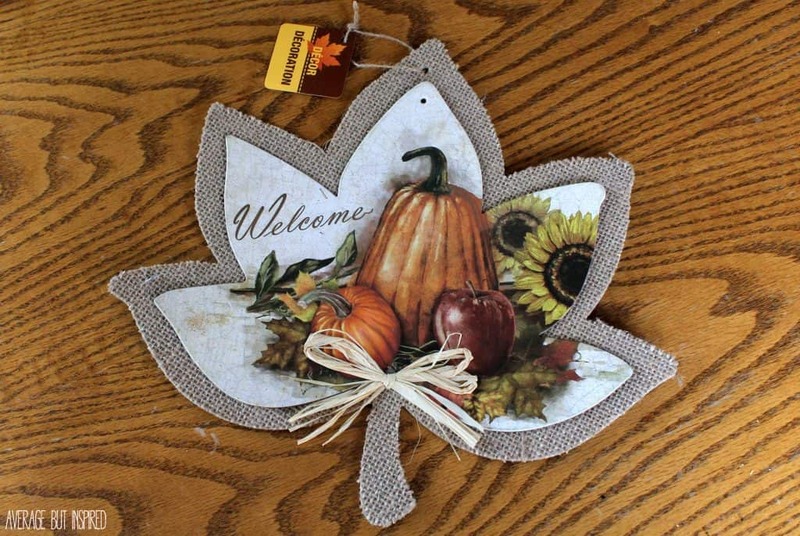 I feel like the original dollar store leaf decoration is thankful that I gave it this makeover. It's no longer at risk of being on What Not To Wear - phew. Well, thanks so very much for reading my guest post! 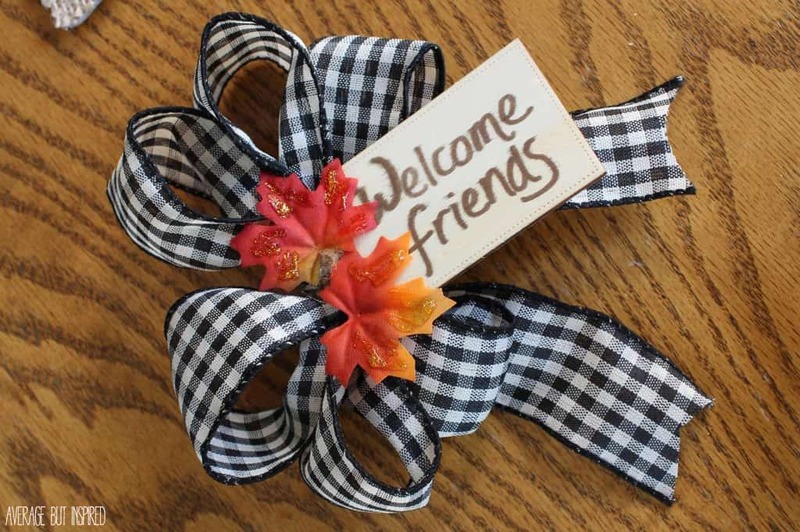 If you like what you saw and are interested in following along with me for other thrifty and fun crafts and home projects, please connect with me at the blog or on Facebook, Pinterest, or Instagram. This is so cute, Bre! Love that polka dot scrapbook paper! Cute, Bre!! I did this same project about a month ago & just couldn't resist these cute burlap leaves hahah! I couldn't believe they had these at the Dollar Tree & they were pretty decently made!!!! I wish I would have scooped some more up!! Have a great weekend friend!! P.S. Polka-dots are my FAV! !